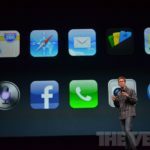 Today at Apple’s ‘It’s Almost Here’ keynote they revealed the all-new iPhone 5. 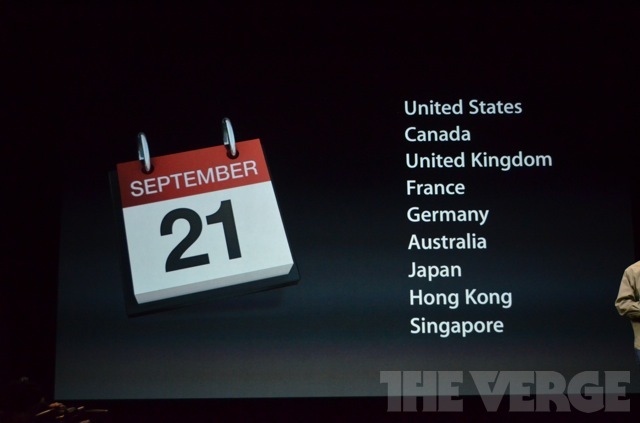 Aside from the larger screen, thinner design, Apple revealed the most important facts of all: availability dates. Canada’s iPhone 5 release date will be part of the initial wave of countries on Friday, September 21st You will be able to buy your new iPhone from Apple along with the usual suspects such as any Rogers, Bell or Telus dealer. iPhone 5 pre-orders, as previously stated will be available on Friday, September 14th. Pricing remains unchanged for carrier upgrades, but unlocked prices have increased by $50 in Canada compared to last year, with the 16GB model starting at $699. So get your wallet ready for that day folks, the new iPhone 5 is here! Boy, it feels great to live in a real country, eh!